The client wanted their existing website modernising and made more professional but keeping the same colours and style of the existing branding. It was also a requirement that bunting played a key part in the design, therefore this was used as decoration in the background texture of the website. 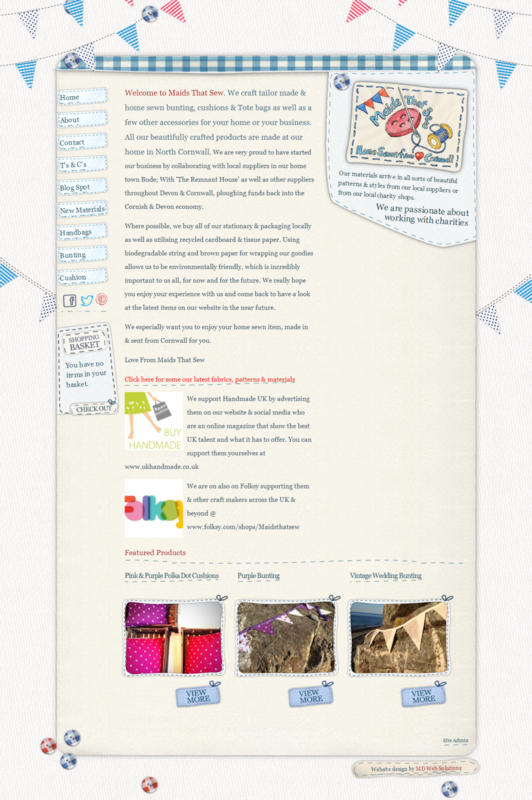 Various designs were created – abstract, bird’s eye view and overlaying of Bunting to give depth to the website. With the website design established the rest of the process was straightforward. The only requirement was to use the WordPress for the website. This gives the client complete control of adding custom pages to the website as well as allowing the client to customise the design and layout of each page. Online shopping facility was also integrated into the website. It was such a luxury to have experimentation time to play with different type of texture styles and I’m very thankful to Maids That Sew for allowing me such a luxury!